Unlock Frost in Mortal Kombat 11, we’ll explain how it works! All fatalities in Mortal Kombat 11 – For all characters, we’ll show you the standard and secret fatalities. The Chatterbox – Get a strong, exotic, SMG in The Division 2. We’ll show you how it works. Black Ops 4 Ancient Evil Guardian Unlock Artifact – How It Works! 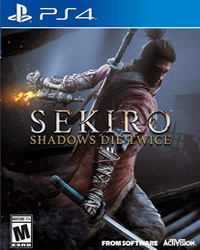 Sekiro: Shadows The Twice – We’ll show you all the boss battles, tactics and rewards!